OTM Tactical is committed to bringing you the best precision shooting equipment available on the market. Our selection of magazines and magazine accessories reflects our passion for quality. 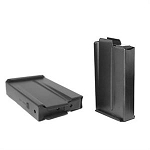 We carry box magazines from respected manufacturers including Accurate Mag, Accuracy International Chassis System (AICS), and more. 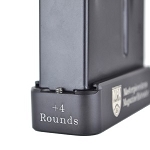 We have reliable, premium-quality magazines for both long and short action rifles including components for the Remington internal magazine. If you need help choosing the best for your rifle, contact us at OTM Tactical for our recommendations.